Algeria has imprisoned 6 journalists in the last 10 days. Ilyes Hadibi, director of Aljazair24, and Abdelkrim Zeghilche, director of the webradio Sarbacane, were both detained on 31 October. 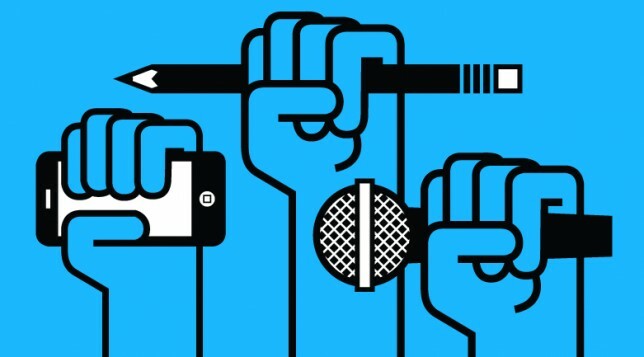 They are the last victims of this wave of arrests that has mainly affected online media and that started on 22 October, declared “national press day” by Algerian authorities a couple of years ago. The other names are: Adlène Mellah, director of Algérie Direct and Dzair Presse; Amir Boukhors, critical with the government with 2 million followers on his Facebook account; and Abdou Semmar, editor at Algérie Part and his collaborator Merouane Boudiab. These two last ones will be judged on 9 November for “defamation and invasiveness of privacy”. On 7 November, in a press conference, the Algerian Union of Electronic Press Publishers (the SAEPE, by its French acronym), has denounced the unprecedented attacks by the authorities to online press. Saïd Boudour, founding member of SAEPE, stated: “six journalists are in prison. The general meeting of SAEPE is prohibited […] we can feel that the Algerian authorities are afraid of journalistic work on the Internet”, and this comes at a strategic political moment, as Algeria´s presidential elections are approaching.